What are essential oils? By definition, an essential oil (EO) is a concentrated plant extract obtained through careful steam distillation, cold pressing, or resin tapping of farm grown and wildcrafted plants, roots, herbs, flowers, or trees. You can think of the oil as a plant’s “immune system” — it is essential to the life and health of the plant. The thoughtful process Young Living uses to obtain the oils ensures all the important, therapeutic, and health-giving constituents of the oil remain intact. 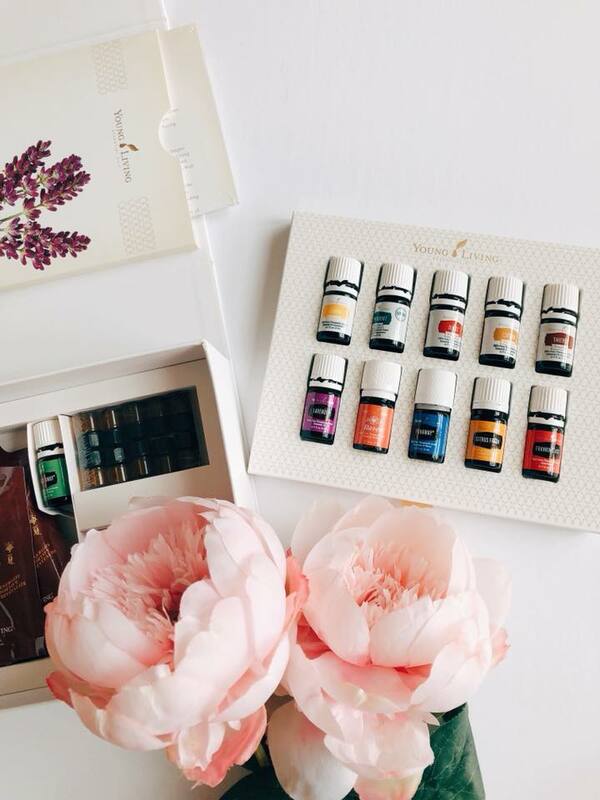 As the world leader in Essential Oils, Young Living offers hundreds of single oils, blends, and oil-infused products, each containing the optimal levels of specific, naturally occurring constituents to maximize their benefits. Whether you use oils for aromatherapy, personal care, or household solutions, every aspect of daily life can benefit from the incorporation of essential oils! How do you use essential oils? There are three basic ways to use EOs: aromatically (directly inhaled straight from the bottle or from a drop in your hand or diffused), topically (applied to the skin), ingestion (ingested by mouth or in a capsule). Each bottle of Young Living essential oil is labeled with directions for how that oil can be used. Please refer to the product labeling and/or product guide in your region for appropriate usage directions. So not all essential oils are created equal? No, not at all actually. The beauty and health industry is not regulated. That oil you bought at the store could contain any number of things including harmful fillers. Believe it or not, we actually use essential oils a lot in every day life and don't realize it. They are used to flavor foods, can be found in toothpaste and mouthwash to give it that minty kick, and in your favorite perfumes and skin care products. There are many places and products that you wouldn’t guess would contain oils. More often than not, however, the oils found in those products are synthetic. Our bodies processes synthetic oils as toxins which are difficult for our bodies to break down and can be stored in our fat cells. These types of synthetic oils work against your body. All the more reason to switch to Young Living's toxin-free, plant-based products using nature to help our bodies do exactly what they were created to do! Within 20 minutes of applying Young Living EOs they can be found in every cell. This God given source was intelligently created to benefit our whole body in the most natural way. So what makes Young Living essential oils better? Young Living Essential Oils are therapeutic grade, 100% pure, derived straight from the plant with no harmful fillers ever. They have a promise of purity. Young Living is proud to set the standard for essential oil purity and authenticity by carefully monitoring the production of their oils through their unique Seed to Seal process. From the time the seed is sourced until the oil is sealed in the bottle, they apply rigorous quality controls to ensure that you are receiving essential oils exactly the way nature intended. You can read more about that HERE. What if I've never used an essential oil before? That's ok, that's what we are here for. We hadn't used essential oils when we started either. Everyone starts at the beginning. When you sign up as a wholesale member/distributor with Fernwood + Fryer Essentials you are joining a team. You become a part of a beautiful, growing community who is always there to support and encourage you, share stories, recipes and experiences and be your biggest cheerleaders! Being a part of our team is being a part of something amazing! Click HERE to find out more about what you get when you join our team. Are essential oils safe for children? Many EOs are appropriate for use with children, and they should be diluted prior to use. Some YL products are pre-diluted with carrier oil as indicated on product label and are intended for direct application on children. Children generally respond well to EO, and use of a carrier oil is recommended. 1-2 drops of EO such as SleepyIze, RutaVala, Gentle Baby and Peace & Calming may be diluted in carrier oil and applied to the bottom of the feet. Can essential oils be used while pregnant or nursing? As with any medical condition it is strongly recommended that, prior to use of essential oils, you seek the advice and recommendation of a competent, trained health care advisor who is experienced in EO usage. It is generally recommended to avoid overuse and excessive use of Clary Sage (Salvia&sclarea), Sage (Salvia&officinalis), Tansy (Tanacetum&vulgare), Hyssop (Hyssopus&officinalis), Fennel (Foeniculum&vulgare), and Wintergreen (Gaultheria&procumbens) as well as the blends and supplements that contain these oils. Click HERE for more information on oil safety. Have more questions about oils or Young Living? Click HERE for more information on Young Living Essential Oils, click HERE to find more information on why Young Living - The Young Living Difference. To purchase oils as a wholesale member/distributor or to purchase products at retail pricing, click here. When you sign up as a wholesale member/distributor, you receive 24% off retail prices which is incentive alone. Even if you never plan to sell, wholesale is a no brainer and so worth it! Suggestions made on this website are specific to Young Living and should not be used with any other essential oils. Statements made here have not be evaluated by the FDA. This information and these products are not intended to diagnose, treat, cure, or prevent and disease. Anyone suffering from disease or injury should consult a physician. If you are currently taking medication, please do not stop taking it. We do not take the place of your health care professional. Seek your licensed health care professional about your medications and possible interactions with what you are currently taking.